Problem: If you use the PowerShell ISE to edit your SharePoint-PowerShell scripts, you may noticed that SharePoint cmdlets are not available by default until you explicitly load them with "Add-PSSnapin" cmdlet. This is because the ISE doesn't load SharePoint PowerShell Snap-ins by default. write-host "profile file already exists at: $profile"
write-host "profile file has been created!" 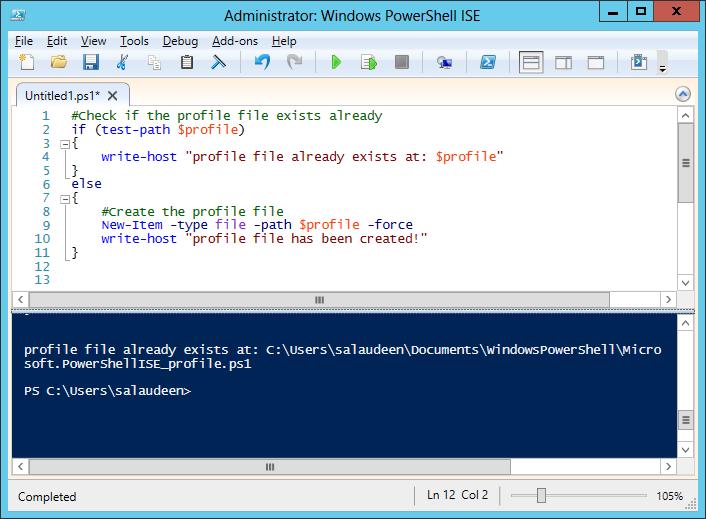 So, from now on, you don't need to explicitly load SharePoint PowerShell snapins as your first line of script! This will definitely save your time and enhance your scripting experience. To make this change for all users, use: $profile.AllUsersAllHosts instead of $profile in the above script.